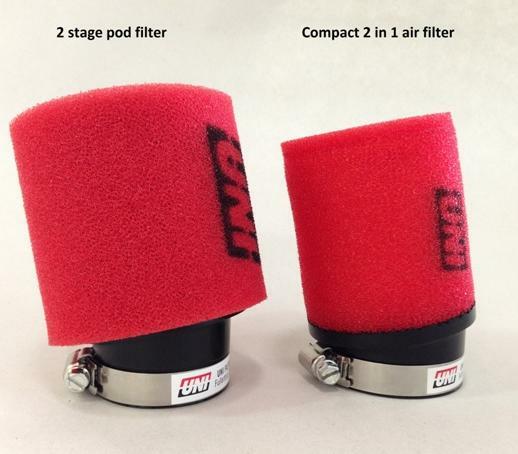 Uni 2 stage air filter in a new compact size. Stage one and two are bonded together and molded into the intake boot. 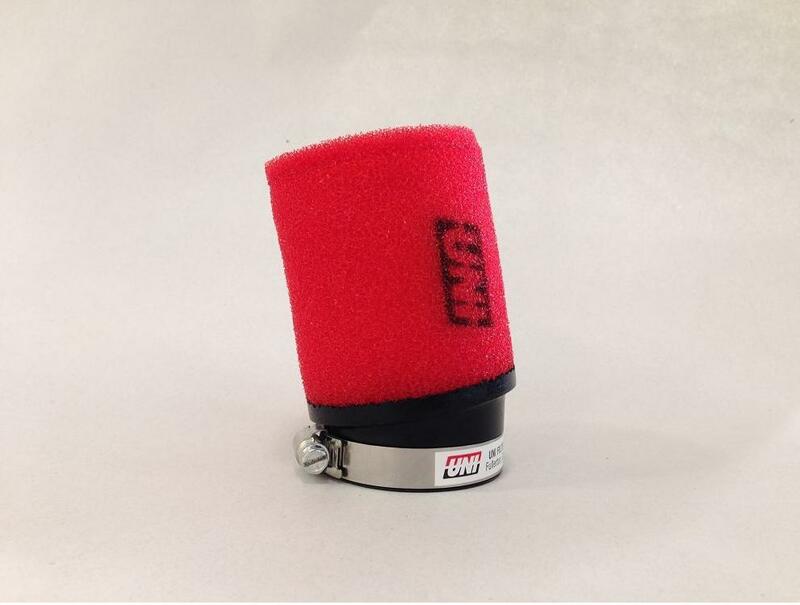 This allows for a compact 3 inch by 3.5 inch filter with a 17 degree bend. This new filter tucks away better and theres less chance of burning or tearing off. Be sure to check out the new special Outerwears cover made specifically for this filter for added protection and water repellency.